Interested in mental health services? Attend a public meeting. All residents who live in San Bernardino County interested in the public mental health system and learning about the Mental Health Services Act are invited to a series of public meetings. The meetings are designed to promote community conversation and participation to discuss topics for the future of mental health policy and program planning including the Department of Behavioral Health’s Annual Update for fiscal year 2015-16. 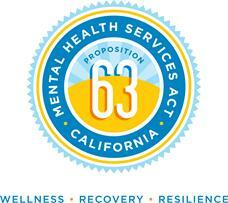 The Mental Health Services Act, Proposition 63, was passed by California voters in November 2004 to expand mental health services for children and adults. The Act is funded by a 1 percent tax surcharge on personal income over $1 million per year. Learn how the Act will impact residents of San Bernardino County. Interested residents are encouraged to join the Department of Behavioral Health at the upcoming Community Policy Advisory Committee (CPAC) meeting, the Cultural Competency Advisory Committee and Sub-Committee meetings (CCAC), or one of the local District Advisory Committee (DAC) meetings. A special presentation will also be held at the Consulate of Mexico in San Bernardino (in Spanish) in addition to an online after-hours event. Please click here to view the list of meetings and contact information for each meeting. For all numbers, TTY users please dial 711.